We offer a wide range of books and magazines which will help deepen the understanding of the German language and assist with vocabulary building. Library hours are from 1.00 – 7.00pm Mondays to Thursdays. The library is open to all students of the Goethe-Zentrum as well as the general public. 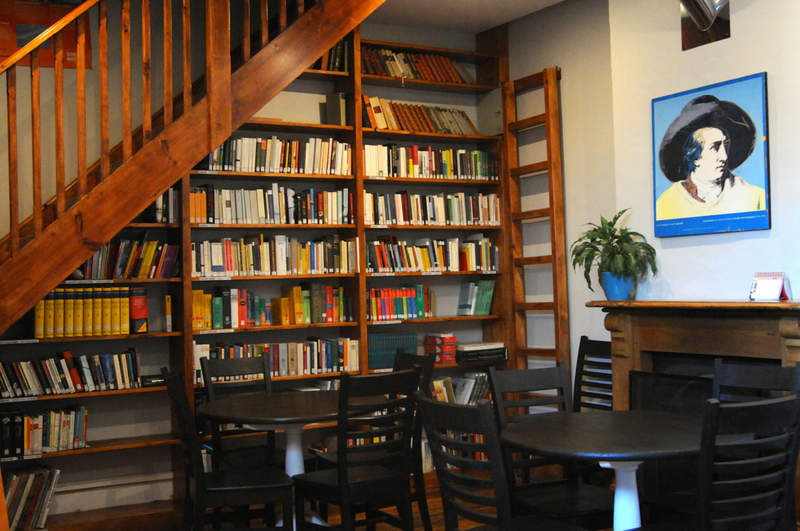 The German Language Centre offers classes throughout the year. Whether you would like to study in a group or want us to set up an individual training course for you – we will strive to help you achieve your learning goals. On request we offer courses with special themes, for companies and individual and small group courses. If you have any questions, we will gladly consult with you. Upon successful completion of a course you may ask the language course office for a certificate of attendance. If you cannot attend a regular classroom course at an institute, distance learning is a good alternative. In order to enrol as a member a non-refundable fee of R50 per term and a proof of identification is required.